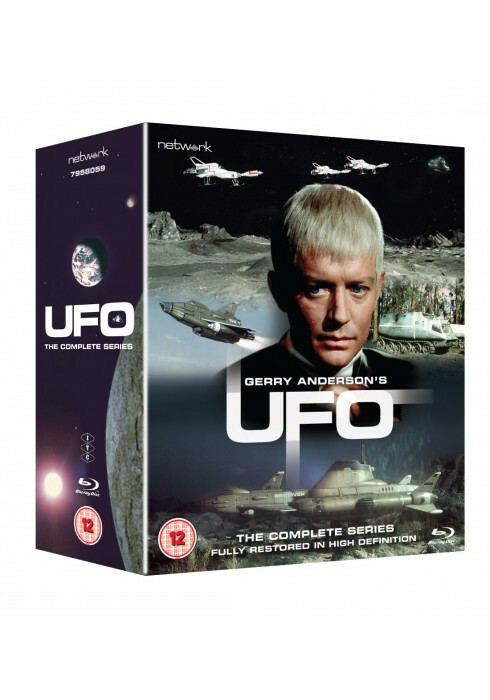 UFO – THE COMPLETE SERIES – Click On Image to Order from the Official Gerry Anderson Store. Anderson Entertainment, the production company of Gerry Anderson – legendary creator of Thunderbirds, Captain Scarlett Terrahawks, Space: 1999, Joe 90, Supercar and many more, are thrilled to announce that UFO – Anderson’s first live-action television series now released in a new High Definition restoration by Network Distributing, has sold out its first print run even before its official release date. 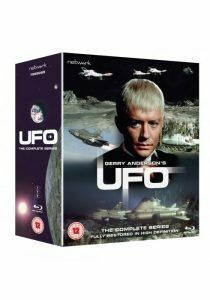 A second pressing of UFO – The Complete Series (12), which features all 26 episodes, is now being rushed through, allowing fans to buy it on Blu-ray set for RRP £89.99. 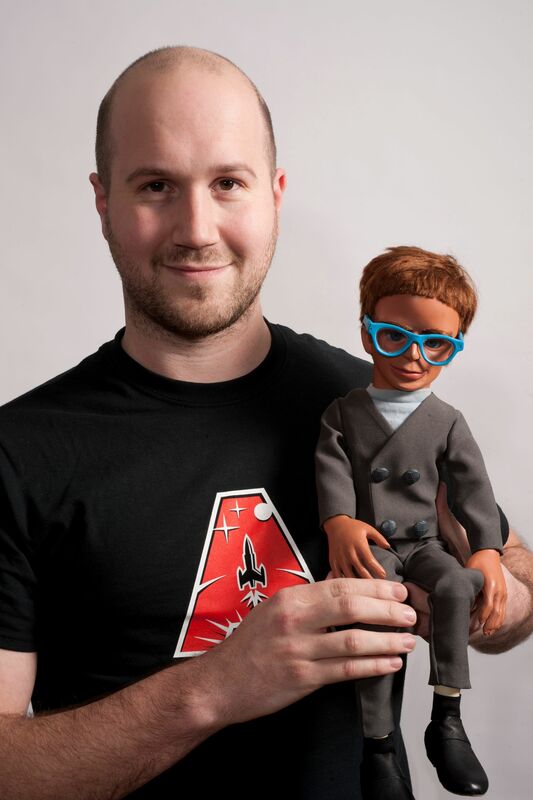 Jamie Anderson, Managing Director of Anderson Entertainment, said: “This shows the ongoing popularity of Gerry Anderson’s productions and is a testament to his enduring work. Anderson Entertainment continues to look after this legacy and help promote these cult classics. 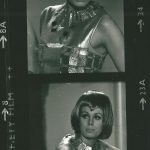 As part of our mission, we maintain an archive of stills and other material, in which we discovered over 200 pre-production UFO stills, including some taken of our national treasure, Joanna Lumley, during her previously unknown audition as a moonbase operative in the series. UFO remains a benchmark sci-fi production, featuring mature storylines and ground-breaking special effects. From Earth to the Moon – brand new feature-length documentary with interviews, archive video, audio and stills – many of which have never been seen or heard before. The Women of UFO – new documentary discussing the improving sexual equality depicted in UFO and the role of science fiction in striving for that change. Identified: SHADO New Recruits Briefing – a newly created SHADO briefing film narrated by Matt Zimmerman. Exclusive 600 page book on the making of UFO by archive television historian Andrew Pixley. Dolby 5.1 audio mix as well as existing as-transmitted mono audio. Film material, including textless episode title backgrounds, textless end titles, stock footage, TV spots, extra footage for Identified and Exposed, unused footage from Timelash and The Long Sleep, Italian trailers. Audio commentaries: Identified with Gerry Anderson and Sub-Smash with Ed Bishop. S.I.D. Computer Voice Session and audio outtakes for these sessions and Kill Straker! Archive Ed Bishop audio interview from 1986. Tomorrow Today: Future Fashions with Sylvia Anderson. Extensive image galleries – including previously unseen images. Terrahawks Volume 2 Blu-ray Coming Soon! Terrahawks: Volume 2 will feature a further 13 episodes, presented for the first time in High Definition from the best available materials, in their original as-transmitted aspect ratio. It will be available to own from 31 October 2016 on Blu-ray and DVD, each RRP £19.99. 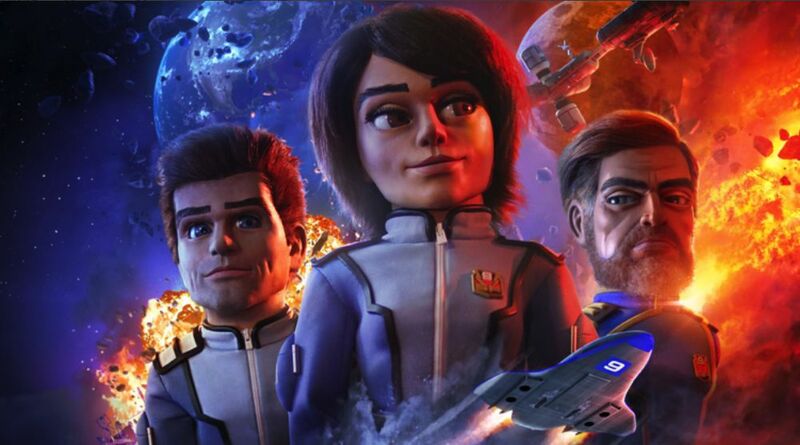 Gerry Anderson, the hugely influential creator of Thunderbirdsand Captain Scarlet, made a spectacular return to puppet animation in the early 1980s with an exciting new series co-created with Christopher Burr. Thrilling yet another generation of children and adults, Terrahawks introduced a new elite force to defend 21st century Earth against a host of alien invaders. Led by the heroic Tiger Ninestein, the Terrahawks crew consists of Captain Mary Falconer, his acting second-in-command; fighter-pilot and former pop star Kate Kestrel; the poetically inclined Lieutenant Hiro; and Lt. Hawkeye – the gunner with computer-enhanced vision. Assisted by a legion of charismatic spherical robots known as the Zeroids, they battle a cabal of evil adversaries – none more terrifying than android crone Zelda, the would-be conqueror of all “Earth-Scum”! New Thunderbird Episodes Starring Classic Puppets Are GO! Gerry Anderson’s Thunderbirds was originally written, produced and filmed at SEGRO’s Slough Trading Estate between 1964 and 1966. Now as part of the show’s 50th anniversary celebrations the Thunderbirds team has returned to its original home to produce three new episodes. 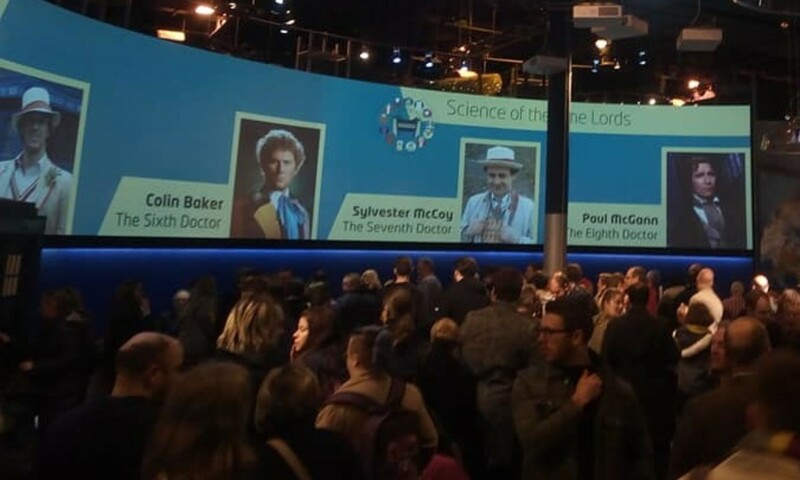 A project created by Stephen La Riviere and supported by ITV, Sylvia Anderson, and the Gerry Anderson estate as represented by his son Jamie Anderson. Home to over 800 customers, the variety of activity that goes on inside SEGRO’s units range from manufacturing to chocolate making to high tech R&D and pharma. 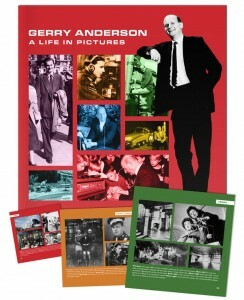 Anderson Entertainment today announce the launch of a stunning photo book – Gerry Anderson: A Life in Pictures – featuring nearly 300 photographs from Gerry Anderson’s private collection from every decade of his incredible life and career. Gerry Anderson, MBE – the man behind iconic TV and film productions including Thunderbirds, Captain Scarlett, Fireball XL5, Stingray, Space: 1999 and UFO, died on 26 December 2012 and his estate has now released 156 pages of behind the scenes and private photos in a beautifully presented full colour hardback book. Jamie Anderson And Thunderbird’s Brains. 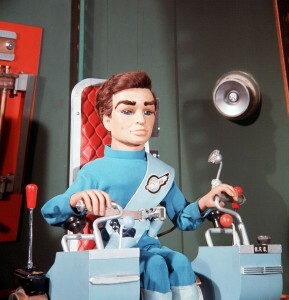 Gerry Anderson?s astonishing and ground-breaking career has spanned over 50 years and has created many iconic series including the world-famous Thunderbirds, Stingray, UFO, Space 1999 and Captain Scarlet ? all of which have since entered the hallowed halls of SF fandom nostalgia. Launched in 1965, TV Century 21 (later known as TV 21) ties into these astounding science-fiction puppet series created by Gerry Anderson’s Century 21 Productions. In these great new collections of reprints, authorised and supervised by Gerry Anderson, Chris Bentley has assembled some of the most thrilling stories from TV21?s classic years including Thunderbirds, Lady Penelope, Fireball XL5, Stingray, Captain Scarlet and Joe 90.